I mentioned earlier this week that I would be sharing some more patterns with you. 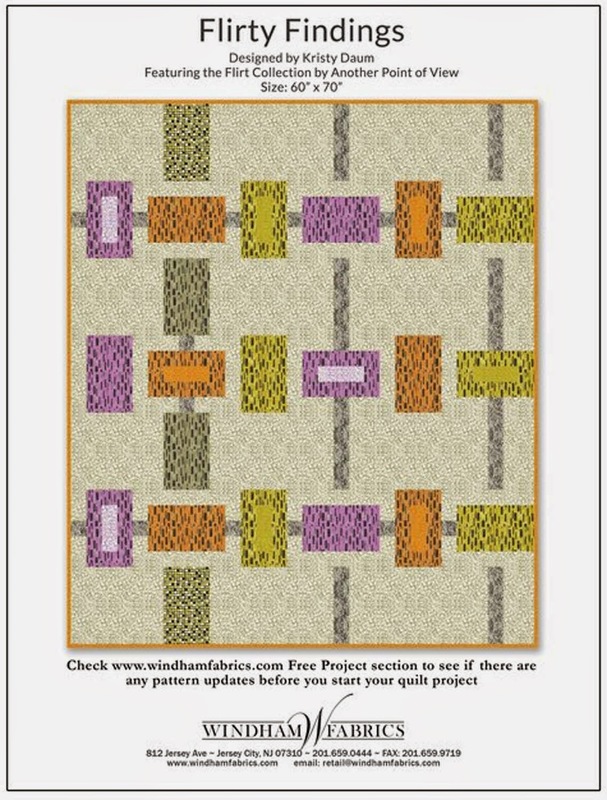 Here is a another quilt pattern that I wrote for Windham Fabrics; which includes their upcoming collection called Flirt. I thought this collection had a Mod sort of 60's vibe to it, and immediately "beads" popped into my head. My pattern grew out of that first concept and I think the final design portrays that. If you make this quilt or use any of my other patterns, don't forget to share your work on social media and tag me @LoveOldHouses as I love seeing my ideas "out in the world".